Hair loss is never an easy topic but with a non-surgical hair replacement system it could make looking in the mirror not quite so emotional. With so many options available including stock and custom grafts, and human and synthetic hair, there is something out there for everyone. Our systems can be styled and colored to match existing hair and will fit your active lifestyle. If outdoor recreation is for you including, swimming, boating and maybe an occasional motorcycle ride, you don’t have to worry because these systems are meant to withstand all your outdoor concerns. A trained professional will educate you on the right system for your lifestyle and budget and together you will make the decision on color, density and length for a customized natural finish. Bonding, taping or clip on? Permanent or temporary? All questions will be answered and no contracts are used to make your available options easier. 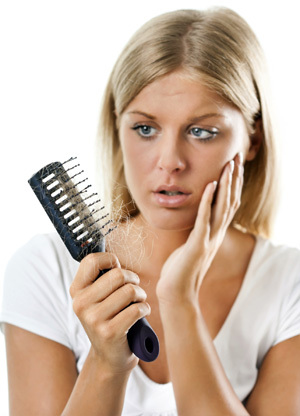 Whether you are experiencing temporary or permanent hair loss, the thought of loosing your hair can be difficult. 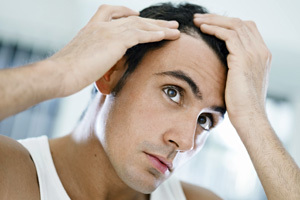 With thousands of people loosing their hair both young and older, you are not alone. We know how hard it is to keep a positive attitude but let us help you turn that around. Our licensed professionals are trained in working with prosthetics and non-surgical alternatives including human and synthetic wigs and hairpieces. For chemo, radiation or alopecia clients choosing a cranial hair prosthesis is crucial. For woman experiencing thinning hair loss there are systems that blend into your existing hair to add fullness and length. Having a proper fit is just as important as choosing the right style, color density and length. Whatever hair loss option best fits your needs we will discuss all options so that you can look as natural as you did before hair loss started. While your doctor is taking care of your health, let us help you feel good about yourself! Get a free consultation and come explore you options!